At Hollywood Banquet Hall, we believe that every wedding should be a unique and memorable experience. You’ll need to have more than delicious catering or exceptional decor .to impress your wedding guests. And what better to guarantee a great celebration than with some wedding entertainment? The right entertainer is guaranteed to make your guests have a great time. But how do you pick wedding entertainment in the first place? As one of Los Angeles’ best wedding venues, we at Hollywood Banquet Hall know what it takes to host a great wedding, and are running through some helpful tips on how to big the perfect entertainment for your wedding. The wedding entertainment you choose will be a huge factor in the overall feel of your wedding reception. So, before starting to research and contact entertainers, you should consider the mood you’re hoping to establish with your wedding. Are you looking for a quiet, intimate wedding? Consider hiring a cool jazz quartet for some tunes. Hoping to party the night away with your friends and family? Then book a rocking cover band or live wedding DJ to liven things up. You entertainment will help determine the course of the night, and you’ll want to pick something that matches your expectations. Standard wedding entertainers like DJs and cover bands need space to set up their equipment, and might need some special accommodations for their electronic gear. It’s easy to assume that things will just work out once they arrive at your wedding venue, but you really shouldn’t leave things to chance. When considering entertainment options, be sure to take into account the size of your wedding venue and its accommodations. If you’re in a small venue, you might have to make adjustments to the room’s layout to fit your entertainers. You’ll also want to check with event staff to see if they have special policies when it comes to wedding entertainment. Plenty of performers and entertainers are great at what they do, but not so great when it comes to working with others. 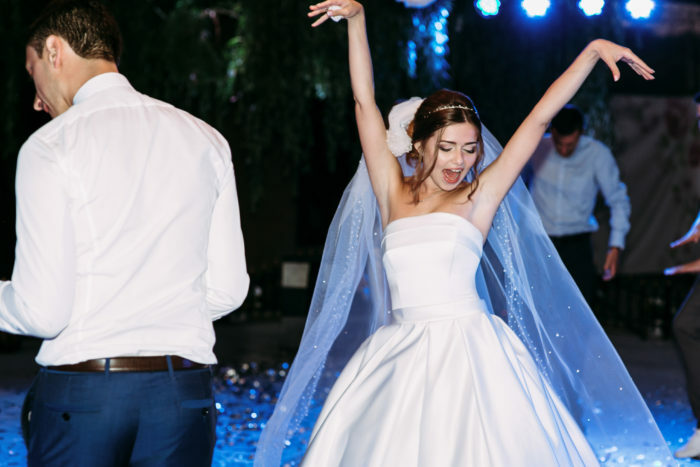 A wedding entertainer’s website will give you a lot of info about how talented they are, but it might not tell you if they’re easy to work with. To get a sense of how great your potential wedding entertainment is, be sure to reach out to some of their previous clients. A real professional will happily provide glowing references, leaving nothing for you to worry about. But an amateur will likely be less willing to provide testimonials to their work. If your seems uneasy when it comes to providing references, or doesn’t want to provide any in the first place, you’re probably better off finding someone else. When it comes to creative industries, people love to play fast and loose with the details. But you need everything to go smoothly on your wedding day, which is why you should establish a written contract between you and your wedding entertainment. Be sure to outline a contract including things like the start and end time of your event, what your entertainment is expected to provide, how many breaks they will be given over the course of the wedding reception, and of course your agreed upon compensation for services rendered. You’ll feel a lot better having everything in writing before your wedding, ensuring the entertainer knows what to provide and follows through accordingly. The right wedding entertainment will make your big day a huge success, providing plenty of fun for your guests while helping you make great memories along the way. If you’re looking for a great wedding venue in Los Angeles, consider Hollywood Banquet Hall. Our event venue provides ample space and accommodations for any type of entertainment, with gorgeous decor guaranteed to impress guests. For more information on booking and availability, contact Hollywood Banquet Hall today.